Water is an essential natural component upon which ecosystem functions and all socioeconomic sector depend. In that sense, oil spills on water not only imply adverse environmental impact, but also economic losses in fishing activities, tourism and petroleum companies. In order to selectively separate oil from water, skimmers and booms are widespread, but the recovered oil still has 5–10% of water, and the efficiency drops in harsh marine conditions. To address this issue, selective sorbents or gelators, pickering emulsions, and special wettability membranes, have been proposed as promising alternatives. Removal of oil from water through selective sorbents has been studied extensively as it shows several advantages over the other methods, including the possibility of fast recovery of the oil and endurance under harsh marine conditions. 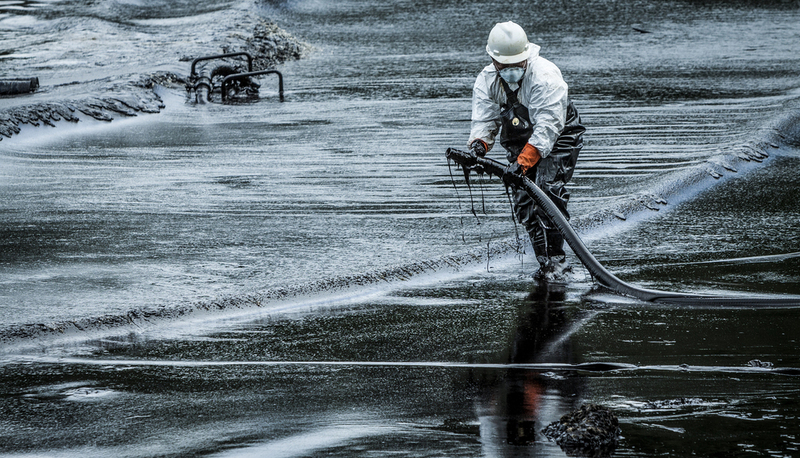 Moreover, research on oil spill cleanup using sorbents and nanoparticle technology has shown a continuous growth in the last decade. Different types of carbon materials have been studied as oil sorbents, such as carbon nanotubes, graphene‐based sorbents, carbon aerogels and biochar. Still, two of the great challenges regarding some of these sorbents are a one‐step facile production and high sorption capacities. Many studies address the issue of contaminated water by modifying the surface of materials using plasma, but only a few use this technique to fabricate the sorbent. Plasma polymerization is defined as the formation of a material under the influence of plasma, and it has been studied since the sixties. A team of researchers from Argentine developed a highly hydrophobic with high oil adsorption capacities plasma‐polymerized carbonaceous nanosponge (CN). It consists of a powder‐like agglomeration of nanoparticles conforming a porous micrometric structure. Selective sorption of the CN makes them suitable in various applications, including the areas of water filtration, liquid separation and hydrocarbons spill cleanup. An acetylene plasma obtained under low power and low pressures in a potentially scalable process led the team to developing a nanoporous material (CN) showing both superhydrophobicity and oleophilicity. The CN can be used to selectively and efficiently adsorb hydrocarbons from water, with negligible water uptake. The material maintains its hydrophobicity for 30 min of UV exposure and it starts wetting afterwards but keeps oil affinity. “Due to its versatile deposition, the CN could be used for surface treatment of textiles or metal meshes, producing membranes with potential applications as selective barriers for oil/water separation” according to team member Silvia Goyanes.